I recently had a request from the folks over at Neatorama to make my version of their Neatorama-bot (their mascot). This is what I came up with. I had it juggling some letters, but it looks a lot better without them. 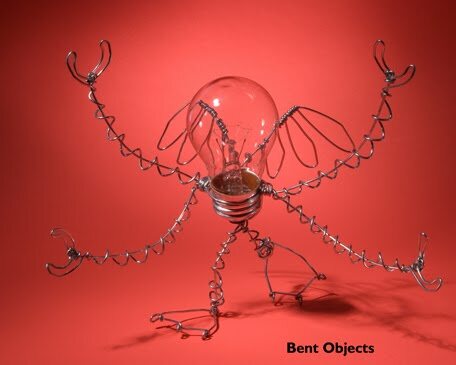 Neatorama is having a Bent Objects book giveaway starting today. Maybe you should give it a try?